A) French. B) A photographer C) Intersted in Lambrettas D) Also interested in young ladies with a ‘well turned ankle’, usually wearing stockings. Nothing wrong with that. Nice images anyway… some great quirky shots of the scooters at the “3 eme rassemblement national Lambretta”. Check out his Facebook page here. (I know the last one’s not a Lambretta). 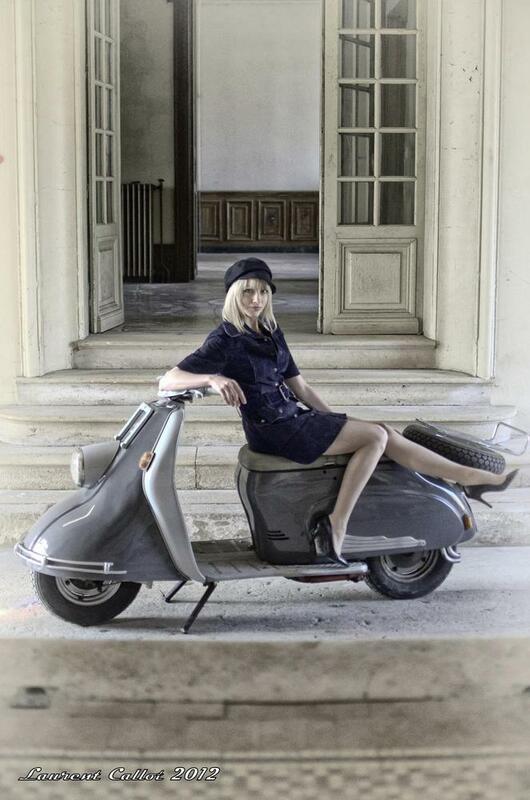 This entry was posted in Lambretta Imagery, Lambretta Life and tagged French, Gallic, Glamour, Lambretta Club de France, LD, Model D, photography, saucy by crocodilejock. Bookmark the permalink.